Eat Like A Champ is a healthy eating education programme for 9 and 10 year olds (Year 5 / Primary 6 / P6 pupils) run by teachers in their primary schools. This programme has been developed by Danone in collaboration with the British Nutrition Foundation. 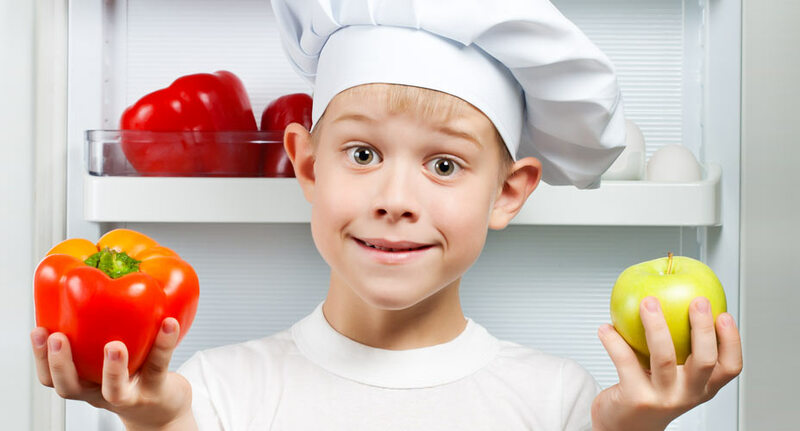 Independent research by the Childrens' Food Trust in 2012 demonstrated that children who took part in Eat Like A Champ shifted their behaviours towards healthier eating habits. We want to make the 6 Eat Like A Champ lessons as fun and exciting as possible – and your involvement is key. If you can, please visit this website every week to find out what your child will be learning and keep an eye out for any of our family activities and recipe tips! At the start of the Eat Like A Champ programme your child will receive a homework passport, containing 6 tasks for them to complete. 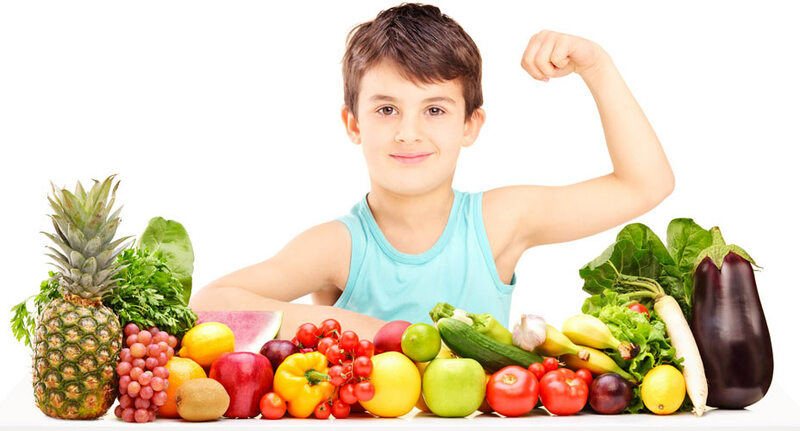 We all have a part to play in helping educate children about what healthy eating is and how to apply it practically in everyday life. The Eat Like A Champ programme seeks to contribute to this positive movement by providing practical resources to parents, children and teachers. Click on the 6 topics below for an overview of what your child is going to be learning about. You will also find specially designed resources that are full of inspiration and ideas to help keep everyone healthy and active. Your child has been learning about The Eatwell Guide, which is the latest UK healthy eating model. 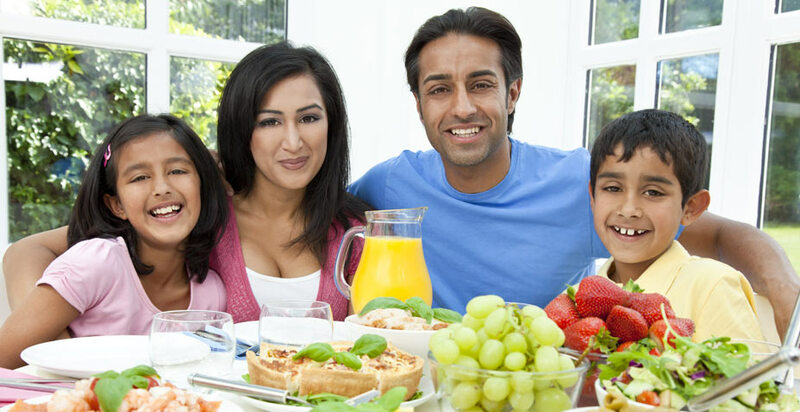 Having a healthy, varied diet is important because no one food or food group contains everything that we need for good health. Foods high in fat, salt and sugars are also shown on the Eatwell Guide, outside of the main image. These foods are not required as part of a healthy, balanced diet. If included, they should only be eaten occasionally and in small amounts. 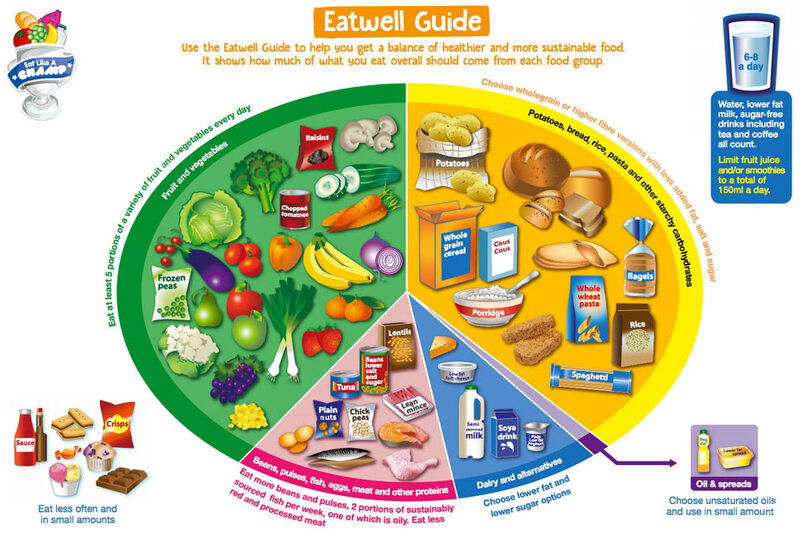 The Eatwell Guide also shows the proportions of food we need from each food group – over a day or two. Your child should bring home their homework passport from school, which contains all their Eat Like A Champ tasks. Your child’s homework this week is to record everything that a family member eats for a day. Please help them by reminding them to fill it in after each meal or snack. A third of your diet should be made up from fruit and vegetables. They will be exploring which food and drinks contain these nutrients, and why our bodies need them. They will also be learning about fibre and the essential role that it plays in our health, along with where to find it in our diet. For their homework task this week, your child will be designing and drawing out two meals (with drinks!) and labelling them to show each of the five nutrients and the fibre they contain. Often a lot of the fibre in fruit and veg is in the skin, so leave the peeler in the drawer when you can. This weeks' lesson focuses on the importance of hydration as part of a healthy balanced diet. Our bodies are 60% water, so keeping that topped up by drinking plenty is essential. We should aim to drink 6-8 glasses of fluid a day, and more if the weather is warm or if we are active. Your child will also be looking at different types of drinks, and learning that some are healthier options than others. 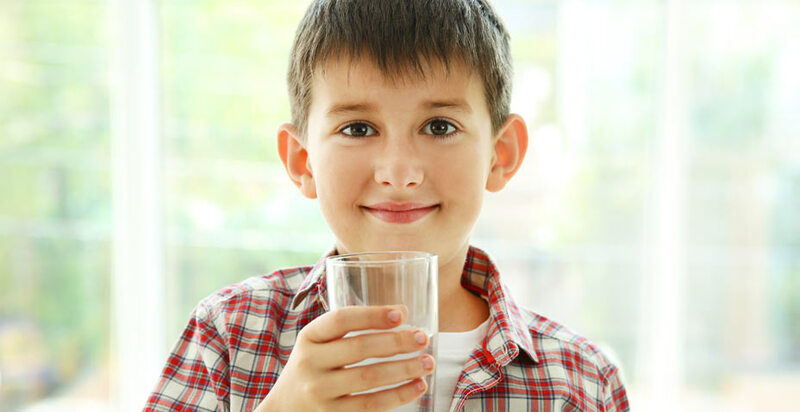 Your child will be asked to create a poster on healthy hydration, to encourage other children in their school to drink plenty. There is a space in their homework passport for them to practice before creating their poster on plain A4 paper. Children learn their drinking habits when they are young, so encourage them to drink regularly, especially when they are active or the weather is hot. Choose water, milk or juice, most of the time. This week your child will learn that our food and drinks give us energy, which our bodies need to function, grow and be active. They will learn to recognise that different food and drinks give us different amounts of energy, and that understanding portion size is important to make sure that they get all the energy, nutrients and fibre they need. Three meals per day is great, including a couple of snacks. Use the Eatwell Guide to help make sure you and your family eat a variety of foods in the proportions shown. Make sure you include a good portion of starchy food with every meal, e.g. bread, rice, potatoes, pasta. It’s also important to include fruit and/or vegetables with every meal. Your child's homework will be to find 4 different types of packaged food. To practice reading food labels and understanding portion size, they will be asked to note down the amount of energy in 100g and in 1 portion of the food. Please take care that the packaging your child is handling is clean and safe for this exercise. Some good examples of packaged food that you could use would be: a cereal box, an unopened tin of beans, a bottle of tomato ketchup or a clean and empty packet of frozen beef burgers. People tend to eat more food when they eat while watching TV, probably because they don’t notice that they are getting full. It’s better to eat together without the TV so you can enjoy the taste of your food and notice when your body is telling you to stop eating. In the previous lesson your child began to understand food labels. This week they will become "Label Detectives" and use what they learnt last week to look at the salt, fat and sugar content of different foods. Their class will also be thinking about how they can make healthier food and drink choices. For their homework, your child will be asked to find some packaged food with "low" or "reduced" salt, fat and sugar content and to draw a picture of each in their homework passport. Sweet foods as well as savoury foods can contain salt, so it’s always a good idea to check the label when you are buying foods. This is the final lesson of the Eat Like A Champ programme. We hope you have enjoyed working with your child on the different tasks, and seen the results of their new healthy eating knowledge! This week your child will learn about the importance of staying active. Children need to be active for at least 60 minutes a day. This will help them to have strong bones, strong muscles and a healthy heart. Staying active can also help children to feel happier, sleep better, stay a healthy weight and to concentrate better. In class this week, your child will be designing their own physical activity game. Why not ask them if you can play it together at home? Your child's homework task is to keep a diary of the different activities they do over 3 days. Please encourage them to take part in physical activities that they enjoy and to write them down in their homework passport. We hope the Eat Like A Champ programme has been fun and inspiring for your child. We aim to improve the programme year on year - please help us by letting us know what you and your child thought of Eat Like A Champ by leaving us a message through the Contact Us page. You can tell that your heart is beating faster during exercise than during rest by taking your pulse rate. To do this, place 2 fingers on the inside of your wrist or the top of your neck and count the number of beats for 15 seconds. Multiply this by 4 to find your pulse rate per minute. 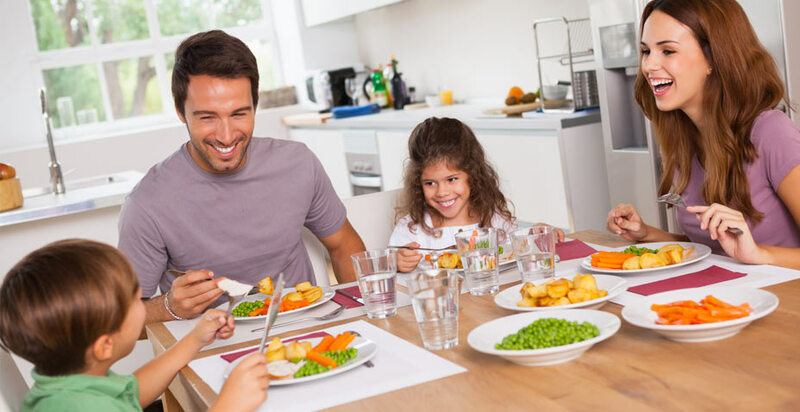 Take a look at our delicious recipes to help your family eat well. Why not start with the crunchy veggie snacks? Are you looking for some tasty lunchbox ideas for you and your family? Download our 5 day affordable lunchbox menu now! 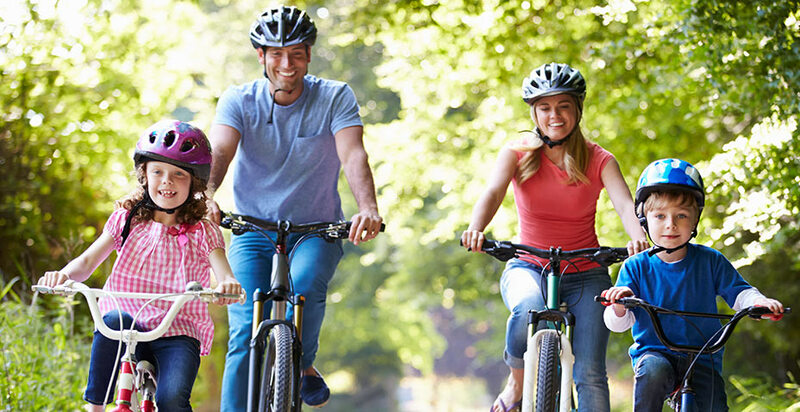 Get your family up and active. Whether you are indoors, outdoors on a budget or short of time, there’s an idea for you! Get started right away by making an indoor or outdoor obstacle course for the family – why not time one another to see who is the fastest?